New research, led by the University of Southampton, has found that an online behavioural counselling tool is effective at helping people lose weight. 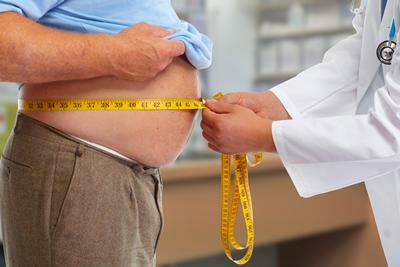 Obesity is a common problem that affects around a quarter of adults in the UK. It can result in a number of health problems including type 2 diabetes, heart disease, joint problems and stroke. Aside from changes to diet and increased levels of physical activity, behavioural counselling is effective at helping people lose weight, but previous studies have shown that to be effective intensive counselling and support is needed. 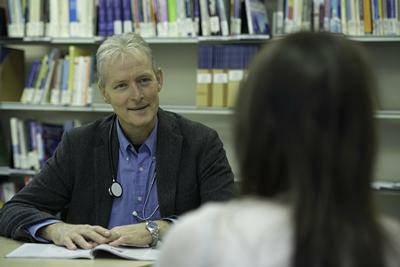 People given evidence-based information online that had been shown to help previously lost around 3 Kg, but using the Positive Online Weight Reduction (POWeR)+ online programme with very brief support from practice staff, participants lost over one kg more averaged over 12 months and were more likely to maintain clinically important weight loss by 12 months. POWeR+ is an online behavioural intervention that is supported by brief contacts from a practice nurse. It teaches participants self-regulation and cognitive behavioural techniques to provide them with long-term, sustainable ways of forming healthy eating and exercise habits. The NIHR Health Technology Assessment (HTA)-funded study, published in The Lancet Diabetes & Endocrinology journal, involved 818 people with a BMI over 30 who took part in 24 web-based sessions over six months. They were randomly allocated to one of three groups; 1) control – an existing online intervention that encourages healthier options. 2) POWeR+ with face-to-face support from a nurse, and 3) POWeR+ with remote very brief support from a nurse (on average three email contacts and one phone contact). All patients were asked to come for appointments for weighing at six and also 12 months to see if weight loss was maintained. They found that while people in all groups lost weight, the two groups receiving the POWeR+ intervention lost more. The control group lost an average of 3kg during 12 months and 21 per cent of people were able to maintain a clinically important amount of weight loss by 12 months. The POWeR+ group with face-to-face support lost 1.5kg more averaged over 12 months and 29 per cent of people had maintained important weight loss by 12 months. The POWeR+ group with remote support lost 1.3kg more averaged over 12 months with 32 per cent able to maintain clinically important weight loss by 12 months. Professor Little said: “Large patient numbers, limited staff training and time pressures mean that delivering face-to-face behavioural interventions in practice can be resource intensive.